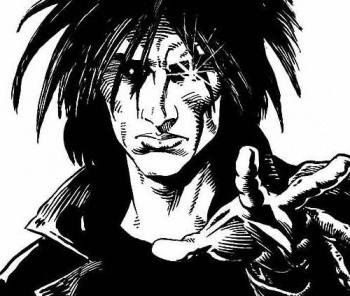 Neil Gaiman's Sandman is going to get a big screen adaptation, after 20 years of trying. "Has anyone told Cain that Joseph Gordon-Levitt is going to produce and possibly star in a movie version of our lives?" "Good. Abel has enough troubles as it is." If you're a comic fan of the 1990s, then it's time to break out the bubbly: Neil Gaiman's Sandman will finally be getting a film adaptation, after 20-odd years of trying. Gordon-Levitt will be working with Neil Gaiman himself, as producer, to bring this epic to life. The Dark Knight's David Goyer will be handling the screenplay. Cain may be upset - exposing secrets really isn't something he tolerates - but the rest of us have every reason to rejoice. No, we don't know which part of the story Gordon-Levitt's team will be focusing on. If it's any help, he's been using the hashtag #Prelude in his Tweets, which may be a Preludes and Nocturnes reference.